Moving to Cairo - Compare International Movers & Save up to 70% ! Moving to Cairo, Egypt is no minor feat. An international move anywhere in the world means that you have a list of things to plan and organize. In addition to all the arrangements you have to make, finding the right international moving company to help you is often a major priority. Intlmovers can help you find the right international moving company in just a few simple steps. This quote comparison service doesn’t cost you anything to use, but it can save you a lot of time and money for your international move to Cairo. 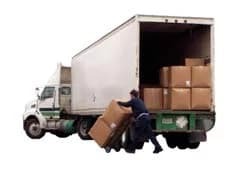 When you select where you are moving from and to using the easy to use drop down menu, you will be presented with a list of up to six international moving companies who specialize in moves specific to your selected areas. That way, you can be sure that you are getting the right service with expert local knowledge. After completing the short request form with some basic details about your move, your request is sent automatically to the moving companies for them to respond directly to you. The international moving companies have years of experience with removals to Cairo. Conveniently compare international removal services simultaneously. Making any type of international move is a big adventure, but you can also ensure that your international move to Cairo is made as stress free as possible with Intlmovers. Cairo is not only the capital city of Egypt, it is also the largest city in the country, as well as being the largest city on the continent of Africa. Covering an area of 453 square kilometers, the population of the city is approximately 6.7 million. It is estimated that just outside the city are around 10 million additional residents. Cairo is a world famous city due to its history and ancient relics. It is an amazing contrast of old and new. The city is located near the Nile Delta. It is an old city that is rich in historical significance. Its proximity to the ancient cities of Memphis, Giza and Fustat make it a popular destination for tourists. Non- Egyptians arriving in Cairo must have a valid passport for arrival and entry through customs in Egypt. For many arrivals, you can obtain your visa upon arrival in Egypt. The airlines will generally hand out the visa forms prior to landing in Cairo. Cairo is a popular destination for people from Dubai, London and L.A. When you are making an international move, it can sometimes feel a little overwhelming. You can relax in the knowledge that the international movers that offer their moving services on Intlmovers have years of trusted experience in the international world of moving and logistics. Feel assured that your goods will be well handled and cared for before, during and after transit, to arrive safely at your destination in Cairo. You do not need to feel any pressure to select any of the quotes that you receive back. Not only is the comparison service offered by Intlmovers absolutely cost fee, it is also absolutely obligation free. You should feel completely satisfied that the details contained in the quote meet your international moving needs. Only accept a quote if you are happy with it – no obligation!